Niles West Student Activities Director Katie Odell has just won the Outstanding Activities Director Award, presented by Illinois Directors of Student Activities organization. Since 2014, Odell has been instrumental in the programs and activities Niles West is known for. 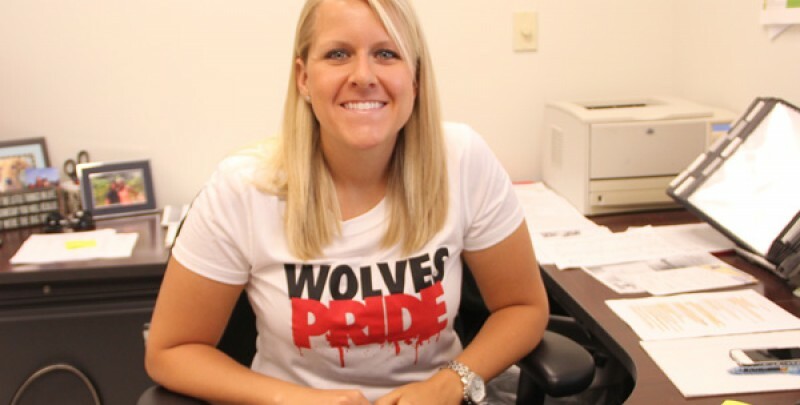 Her dedication to making sure the students enjoy their time at West has made her an invaluable member of the Niles West community. This recognition came as an incredibly welcoming surprise to Odell, who is simply honored to have been recognized. “To be recognized for all the hard work I put into something I love is an amazing feeling,” she said. Judy Wheatman, executive secretary to Principle Ness, is quick to praise Ms. Odell for her exemplary work during her time at Niles West. “We’re very proud of Ms.Odell; She’s doing a wonderful job,” Wheatman said. Wheatman also recalled some of the many positive changes Odell has made to West, including her patronage of the student assemblies and one of the many programs she has implemented. Even students are quick to recognize the impact Odell has had on the community.